Don't see emergency cases every day? Does seeing a dyspneic patient make you tachypneic? Seeing dyspneic patients can be stressful to both the veterinarian and the patient! These patients are often intolerant of handling or manipulation due to their fragile nature and severe underlying disease. This webinar was delivered Monday, July 29, 2013 from 7– 9 pm EST (6 – 8 pm CST; 5 - 7 pm MST). Were you unable to attend that time? If you’re a VETgirl ELITE member, know that you have flexibility to view any of our webinars when you have time. All the webinars are recorded and can be viewed after their release date for CE credit. If you're watching the recording later on, don’t forget to take the CE quiz with it when you’re done to get your CE certificate! Sponsored by Trudell Medical International. Trudell Medical International offers a range of specialized, veterinarian recommended devices that owners can depend on to deliver inhaled medications recommended by their veterinarian. This program 785-30606 is approved by the AAVSB RACE to offer a total of 30.00 CE Credits (30.00 max) being available to any one veterinarian: and/or 30.00 Veterinary Technician CE Credits (30.00 max). This RACE approval is for the subject matter category of: Category One: Scientific, using the delivery method(s) of: Non-Interactive-Distance. This approval is valid in jurisdictions which recognize AAVSB RACE; however, participants are responsible for ascertaining each board's CE requirements. This is great, will definitely be there! Garrett, I work Monday nights. Will I be able to access the webinar at a later date? Congratulations on the website. We are very excited to provide this RACE approved initial webinar free! The webinar will be available for VetGirl ELITE members for playback at their convenience if they are not able to attend the webinar live. Please let me know if this answers your question or I can clear anything else up. I would love to see this webinar but live on the West Coast & it’s very hard to get off work that early? Is there any way to see it after? The webinar will be available for VetGirl ELITE members for playback at their convenience if they are not able to attend the webinar live. Please let me know if this answers your question or I can clear anything else up. Any issues, please send a message to garret@vetgirlontherun.com for help! Awesome – not about the airport delay…but about the ability to learn on YOUR time, when it is convenient for you! 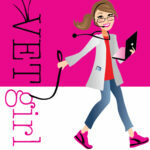 This is exactly the reason VetGirl loves technology and…well…the VetGirl experience. Spread the word!!! Very useful and convenient. I will be back often. Keep them coming! !